The Manufacturer Zenith has always had a passion for measuring time. While the effects of this quest are taken for granted these days, things were very different at the turn of the 20th century. The industrial revolution gave rise not only to the need to pace human activity, but also – and perhaps above all, to contribute to the precision of navigation and later, telecommunications. In 1989, the first Zenith chronograph made watchmaking history as well as contributing to modern-day technological progress. Nurtured by the visionary mindset of its founder, and cultivating his ability to see beyond limits, Zenith has unceasingly accompanied pioneers and adventurers, from the moment Louis Blériot crossed the Channel in 1909 to Felix Baumgartner’s freefall from the stratosphere in 2012. And for the Manufacture in Le Locle, human adventure is often synonymous with technical innovation and watchmaking progress. 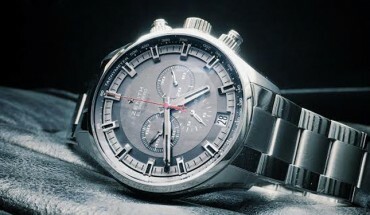 Thus, in 1969, the El Primero calibre, the first automatic integrated high-frequency chronograph movement, launched six months before man’s first step on the moon, instantly became the symbol of daring watchmaking. Nearly 50 years after the creation of this exceptional movement, the timepieces housing it are the only numbered chronographs capable of measuring short time spans to the nearest 1/10th of a second. More recently, the creation of the gyroscopic Gravity Control module after five years of research and development represented a major watchmaking advance. Be it technical or human, adventure is unquestionably in Zenith’s genes. Designed to beat the most formidable crewed ocean records, maxi trimaran Spindrift 2 has already set ten records around the world since its launch, including the Trophée Jules Verne. On Sunday November 2nd, she will cross the start line of the Route du Rhum, the legendary solo transatlantic race that takes place every four years between Saint-Malo (mainland France) and Pointe-à-Pitre (Guadeloupe). Optimized in order to suit the program and the athletic objectives of the team, this ocean-going giant is the result of a daring challenge taken up by Donatella Bertarelli, businesswoman and accomplished athlete and Yann Guichard, one of the best skippers in the world. Through this project, the two partners share a passion for a multi-faceted sport where performance depends on high-tech materials as well as on passionately dedicated men and women. Since the creation of the team in 2011, the team’s approach – controlled daring – remains unchanged. It has even been rewarded. Like Zenith, the Spindrift racing team follows its own star. “Our project has grown and already enjoys great international recognition. With Yann, we are holding all the cards for new breakthroughs and we are proud of our alliance with Zenith,” says Dona Bertarelli. The automatic El Primero 4061 is equipped with a lever and escape-wheel in silicon, an avant-garde material that has resolved problems relating to lubrication. Silicon is much harder and lighter than steel, which makes it both resistant to wear and tear and less energy intensive, due to its low friction coefficient. It is also non-magnetic.